Christophe Battier, Jean Baptiste Nallet and Alexandre Louys from ICAP at the Universite de Lyon 1 in France visited the SpokenMedia team in February 2010. They are working on a new version of their virtual learning environment (VLE) — a learning management system (LMS) in American-speak — that has an integrated video player with a number of features of interest to SpokenMedia. 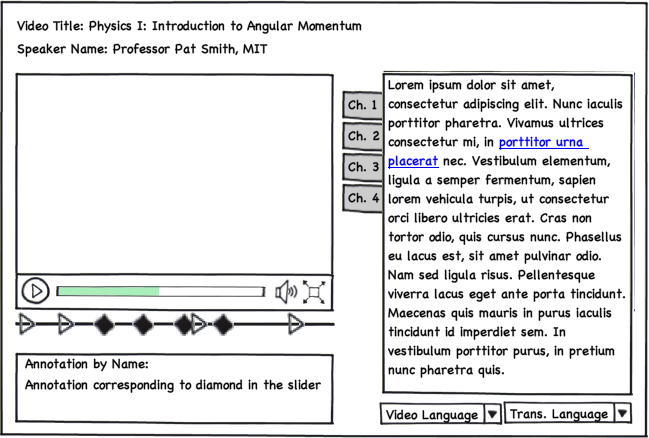 The player is Flash-based and provides the ability for users to create “bubbles” — or annotations/bookmarks — that overlay the video. 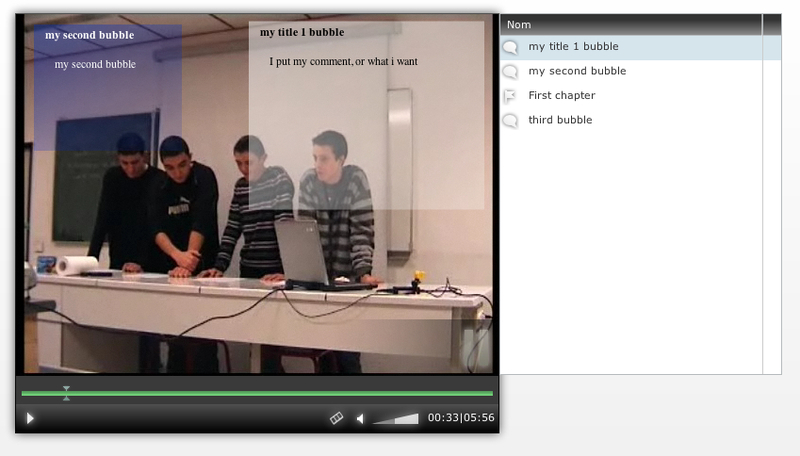 These bubbles can be seen along a timeline, and can be used to provide feedback from teacher to student or highlight interesting aspects of the video. We discussed with them, integrating the aspects of the transcript display in the player we’ve been developing. The user can watch the video and see the transcript with a “bouncing ball” highlighting the phrase being said. 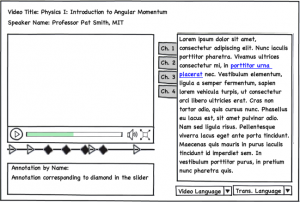 The user can switch between transcripts in multiple languages. And, the user can search through the transcript and playback the video by double clicking on the search result. We talked about how the SpiralConnect team might extend their player to integrate transcripts and also create annotations that could be displayed below (or to the side of the video) and not just overlay the video image. Here’s a mockup of what we discussed.